When I think of the novels I enjoy the most, they seem to have factors in common; elements of escapism yet also enough to resonate. Whether that's in a character trait or even just a sentence that provides some sense of association. I don't need to see myself in the pages but I think having aspects that perhaps provide some glimmer of meaning only better the reading experience. I certainly found this with The Female Persuasion. The story really centres around Greer Kadetsky, and the journey she goes on in the aftermath of her meeting female powerhouse and feminist icon, Faith Frank a visiting speaker at Ryland College. She ends up working alongside Faith at her foundation Loci and we see her come into her own. We are also introduced to Greer's boyfriend Corey and her best friend Zee and they all form pivotal parts of the story. 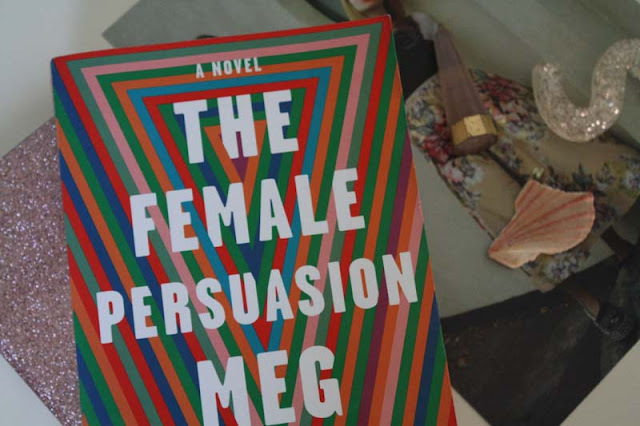 It explores topics of feminism, ambition, self-discovery, friendship and family among others. One thing I really liked about this book was the way it took you through Greer's perspective but it also looked at the backstory of Faith, Corey and Zee in a bit more detail. They each probably had a chapter or so dedicated to them but I felt like adding those additional voices alongside Greer's didn't detract from the story and instead enhanced it. I also love that all the characters are flawed and remain so, despite overcoming conflicts they may face. Particularly when it came to Greer and Faith. Without giving away any spoilers Greer in a sense places Faith on a pedestal. Perhaps without realising, perhaps because of her age and subsequent perceived wisdom. Anyway, when Greer learns that Faith is in fact human like everyone else, it's somewhat...refreshing. I'm probably explaining this badly but just the way we can sometimes idealise people, whether it be because of their age or something else, we in a sense dehumanise them. So to see a character go through that experience and in such a poignant way was brilliant. The Female Persuasion was a ride from start to finish. Admittedly it took me a little while to get into because I have a fantastic habit of attempting to read multiple books at once. I did really enjoy it though and found myself wishing the train trips I found myself on were longer, just so I could read more before having to go back into the real worlds of work or home. If you've been considering giving this a read, I highly recommend it. It's a rewarding read. "...there would be people you would meet who would affect you and turn you ever so slightly in a different direction. Suddenly you knew what you were working for, and you didn't feel as if you were wasting your time." Further Listening: NPR Podcast, The High Low (Meg Wolitzer comes in partway through this episode).